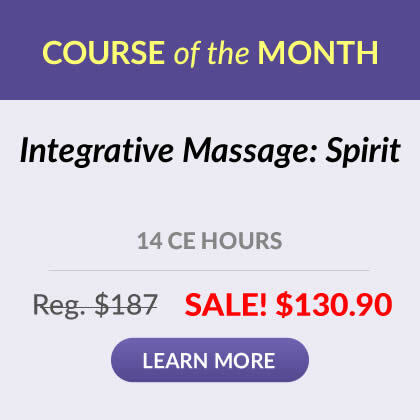 Save $15 when you order all three of the Maryland Board of Massage mandatory courses as a set! Massage therapists are increasingly working in various medical settings - physician's offices, long term care facilities, hospitals - and the population of the United States continues to become more ethnically diverse. As a result, it is important that as health care providers working as part of a multi-disciplinary team we become more familiar with the cultural differences of our clients to become more sensitive to their perspective so that we may provide the best care. Additionally, it is important that we impart sensitivity to other cultures, and to our support staff, so that each person we are in contact with is treated with consideration. define important concepts including race, ethnicity, culture, health literacy and health disparities. review the National Standards for Culturally and Linguistically Appropriate Services (CLAS) in Health and Health Care. determine what cultural competence means, how one becomes culturally competent, and distinguish between cultural sensitivity and cultural competence. differentiate between stereotypes and generalizations. review how culture and socioeconomic status affect quality of health care. discover strategies for establishing a more culturally sensitive environment. learn differences in cultural behavior. examine ways to avoid pitfalls when working with various clients from diverse cultures. Standards of Practice provide massage therapists with clear, written expectations of professional conduct that can protect both the client and the practitioner and safeguard the therapeutic value of the relationship. This course reviews NCBTMB Standard I: Professionalism and Standard V: Roles and Boundaries in detail and helps you consider how they relate to your practice. Today we find people with HIV infection among our clientele, our circle of friends and our families. HIV infected persons are seeking healing modalities that enhance the physical, psychological and spiritual aspects of their being. Touch is in the forefront of these modalities. This course will greatly assist you in providing your skills with greater awareness and sensitivity for people who have HIV infection. the history of HIV and AIDS. universal precautions for preventing infection. contraindications for HIV infected clients. the benefits of bodywork for HIV and AIDs positive clients. emotional impact to the practitioner. Good course, most I knew as I work with many cultures, but I learned new info. It also reaffirmed that I am culturally sensitive and am doing all recommended suggestions/actions already. Great text manual! The information covered is thorough and offers information specific to massage therapy and excellent resources to help massage therapists with Diversity issues. Well Done! This course raised my awareness of cultural differences that affect quality of health care in a massage practice. There were several specific examples given that I will remember for the future. Living in such a diverse area as metropolitan DC, this course was essential. This diversity course was useful and respectful without being condesending to the client or the practitioner's point of view. Glad to see information on dual relationships was included. The previous advice of "no dual relationships" doesn't work in a small town where everybody knows everybody. I appreciate the concise and comprehensive nature of the ethics courses. 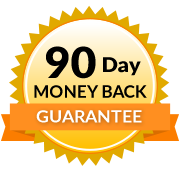 The online availability makes it easy for me to comply with the certification requirements in a timely manner, and gain powerful insight into the nature of our ethical codes, without taking too much time out of a busy schedule. The material is clear, informative and interestingly written. It took a subject that many of us have heard and/or read many times yet it,cleared out the cob webs and brought the subject clearly back to the forefront--in a crystal clear manner. Very good material that covers all grounds on the subject. Excellent examples that explained ethical and unethical situations in detail of profession relations between therapist and client.